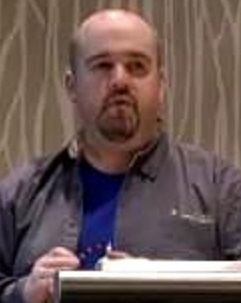 The author of Spring in Action and Spring Boot in Action, Craig Walls is a principal engineer with Pivotal and a zealous promoter of the Spring Framework. In addition to writing books and articles about Spring, he gives presentations about it at local user groups and larger conferences. When he’s not slinging code, Craig is planning his next trip to Disney World or Disneyland and spending as much time as he can with his wife, two daughters, two birds and three dogs. Security is essential to development, and it’s better to treat it as a concern rather than as a feature or add-on. This article, taken from chapter 4 of Spring in Action, Fifth Edition, discusses securing Spring. 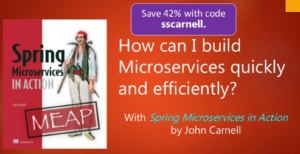 Whether you’re developing a simple database-backed web application or constructing a modern application built around microservices, Spring is the framework that will help you achieve your goals. This article, adapted from chapter 1 of Spring in Action, Fifth Edition, is your first step in a journey through modern application development with Spring. This article discusses controlling service configuration using Spring Cloud Config. This article introduces the Spring Cloud and gives information about writing microservices for Spring deployments. Learn more about Spring Boot and the Spring Framework in this interview with Craig Walls, author of Spring Boot in Action, along with five editions of Spring in Action.